The next week’s episode will see Jaime Lannister confronting an unexpected person. High Sparrow will get a new victim as he failed to torture the queen and queen’s mother. Below are some of the official details available at the time of writing. Find out what happens next. The titles and synopsis for the episode 6 and 7 of GOT season 6 were released by the HBO earlier in May itself. As the show is progressing, it is getting interesting per episode. The plot details for the next week is available. The synopsis given by the HBO reveals close to nothing, but we get some ideas as to what to expect from the upcoming segment. SpoilerTV revealed the synopsis first of all. It suggests that High Sparrow gets a new target, but the victim’s identity is not known yet. In the meantime, Jaime confronts an unexpected personality in the Kings’ Landing. It is expected that the unknown person is a great persona. However, there are no specific details revealed about this hero as of now. We will have to wait for a week to find out that. Unknown from the rest of the world, Arya Stark is still training to become a faceless assassin, No One. She gets a new idea to get what she wants, but quickly. Further details will be revealed soon and will be added on this page. The High Sparrow considers another target; Jaime confronts a hero; Arya makes a plan; memories are awakened in the North. In addition, the synopsis reads that the “North is reminded.” This very statement doesn’t reveal anything specific. It doesn’t give a clue what’s going to happen next in the north. However, it seems that something big is going to occur at Winterfell. The promo video for GOT S6E7 isn’t available yet. It will be added as soon as it is released. Be sure to check out after some time. 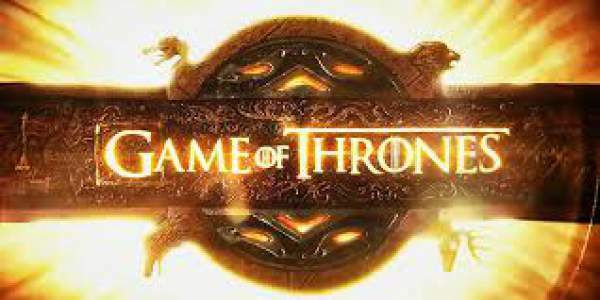 It will be released as the GoT 6×06 finishes. So, stay connected with us. On the other hand, it seems that the title “The Broken Man” has been taken from the speech given in the books by Septon Meribald. It suggests that the north will get to know that the army of undead is approaching fast for them. From the trailer, it appears that Jon Snow is getting successful to gather an army of Wildings against Ramsay Bolton to take back Winterfell. GOT S6E07 Predictions: Also, Bronn (a mercenary) appears again, and now, he is on Jaime Lannister’s side as he heads to The Riverlands to confront Blackfish on King Tommen’s orders. Moreover, in the trailer, we see Sansa emphasizing on taking back Winterfell and bringing back the good name of Stark to Westeros. On one hand, Olenna is seen scolding Cersei and on the other hand, Yara and Theon make a plan to get back the Iron Islands from Euron. The High Sparrow’s next target will be Kevan Lannister as there is no one powerful than him in the King’s Landing and he is a significant threat to High Sparrow. The Wall will keep Benjen from returning south as he fears that the magic of the Wall may prevent him from re-entering the seven kingdoms once he crosses the Wall in the North. Arya will get in a deadly knife fight with the Waif, and someone is going to die. It appears that the Waif would die as Arya has to live at any cost. “Game of Thrones” (GOT) Season 6 Episode 7 “The Broken Man” will air on June 5 at 9:00 pm on HBO.